DO you LOVE one pot meals?! One pot meals have to be my favorite kind of meal, guys. First off, because we don’t own a dishwasher soo everything that is cooked up in our kitchen is washed the old-fashioned way by hand. AND secondly, the less dishes the better no matter what night of the week it is, amiright?! One Pot Lasagna is a meal that we often make around here because it’s easy, seamless to throw together and darn tasty. 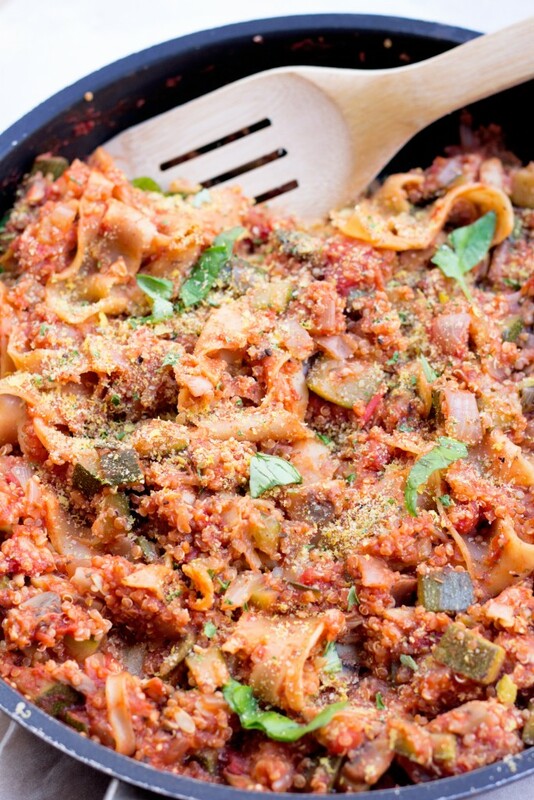 This Easy One Pot Quinoa Lasagna came together by fluke because I ran out of lasagna noodles so decided to substitute quinoa for the rest of the lasagna noodles and friends, the addition of quinoa in this vegan pasta dish blew we right out of the water! The final step in this dish is mixing in a homemade simple, creamy, vegan cheesy sauce that is whipped up in the blender while the lasagna is cooking in the pan. Mixing the sauce in at the end make this dish sooooooo incredibly cheesaayyy and good! And I apologize in advance for the Italian-inspired recipes I’ll be sharing this month like this Healthy One Pot Quinoa Lasagna. We are leaving to Tuscany in just under a week and all I can think about is all the wonderful dishes I’ll be discovering and trying to recreate for you guys while away. If you have any favorite Italian dish in particular you’d like me to recreate, let me know in the comments below! 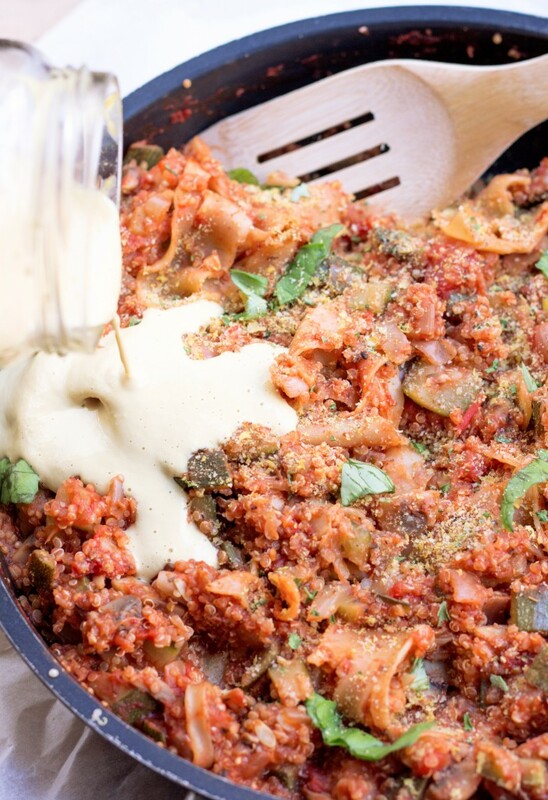 A meaty, comforting and stick-to-your-bones One Pot Quinoa Lasagna. The addition of quinoa make this dish so incredibly hearty and delicious! The cheese sauce at the end takes this meal to the next level. Enjoy with vegan parmesan and fresh basil on top! Soak your cashews in hot water for the cheese sauce if you don’t have a high powered blender while preparing the lasagna. Over medium high-heat, in a large and deep pan, sautee the onions and garlic with the herbes de provence and red pepper flakes in a couple splashes of vegetable broth. Sautee until the broth has evaporated and the onions are lightly cooked. Add the chopped zucchini and mushrooms, sautee in a couple splashes of vegetable broth for 4 minutes until lightly cooked. Rinse the quinoa (this removes the bitter aftertaste). Add the quinoa to the pan and sautee it with the vegetable for 2 minutes. Break the lasagna sheets into thirds. Add the broken lasagna sheets to the pan. Cover with tomato sauce, chopped tomatoes and [b]1 cup[/b] of water. Stir lightly, cover and leave to sit for 15 minutes on medium-low heat. After about 15 minutes, the quinoa and lasagna noodles should have absorbed most of the water. Stir and additional additional water if necessary (I added an additional 1/3 cup of water). Cover and leave to cook until the quinoa is fully cooked. Prepare [b]the cheese sauce[/b] while the lasagna is simmering. Rinse the soaked cashews. Add the soaked cashews, nutritional yeast (amount you add will depend on how much you like nutritional yeast – I added 3 tbsps), lemon juice, sea salt, garlic and water to a blender. Blend for a couple minutes until smooth and creamy. I used an immersion stick blender to blend the sauce but any blender should do. When the lasagna is ready (the quinoa fully cooked and water absorbed – see photo), add the cheese sauce, and cover for an addition minute. Stir in the sauce. Top with vegan parmesan and fresh basil. Enjoy! 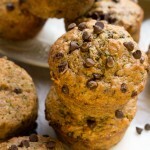 1) Substitute the herbes de provence for equal parts basil and oregano. [br]2) Use the amount of red pepper flakes to taste. I used a heaping tsp because I like spicier food! [br]3) Use Gluten-Free noodles if you need this dish to be gluten-free. And y’all, it seriously makes my week hearing your feedback and seeing your delicious #CearasKitchen creations 🙂 If you do whip up this One Pot Quinoa Lasagna, leave a comment below and share your photos with me on Instagram @CearasKitchen (and remember to tag #CearasKitchen so I don’t miss it!) or share it on my Ceara’s Kitchen Facebook page. Wishing you a wonderful Sunday! Trying this one tonight! Your butter chickpea curry with the cashews was the first vegan meal I cooked for myself and it’s still a favourite at home 2 years on. I’ve been vegan for 4 years now and cooking pretty much every day. I’ve tried so many hundreds of recipes and this is in my top 10 list of favorites. So flavorful. Not a single adjustment to the recipe needs to be made. LOVE IT! Your comment means the world to me!! Thank you! So happy the recipe is a favourite! I am so making this tonight! Vegetarian going plant based. SO glad I found this site. Keep the recipes coming! Eating this right know and loving every bite! I’m not vegan but was really curious about the cashew-cheese-sause. It’s delicious! OH MY GOODNESS!!! This is awesome. Even my boyfriend loved it and he’s all about dead carcass and cheese. This is a total keeper. Delicious! My family really enjoyed this meal! We didn’t have zucchinis but substituted carrots and celery first time and green peppers and carrots second time. Thank you for such a tasty and easy recipe!!! Thank you for this! I’ve been looking for new ways to use quinoa, and this is incredible. The only thing I didn’t like was how lemony the “cheese” was. Personally, I would add way less. But I did add some basil and oregano to it, which helped offset the flavor. Overall, this was amazing — and so easy to customize. A+! Thank you, Shayna! So happy you enjoyed the One Pot Quinoa! You can def. adjust the lemon to your taste – I love a lot of tangy lemon flavor in my cheese sauces. The addition of oregano and basil sounds lovely. I just had to stop back to say that I FINALLY remember to try this again, with the tweaks I had wanted last time. I lessened the lemon juice in the sauce and actually ended up doubling the sauce recipe, too — I loooove the cheeze sauce!! It turned out INCREDIBLE, and I just had to thank you since it’s one of the best meals I’ve made in a long time! 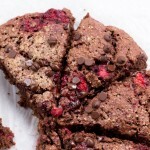 Hi, do you happen to know the nutritional information of this recipe. Looks good, but I don’t have a huge limit to work with. Made this last night! Wife and I loved it! Look forward to making it again soon! This looks amazing. I’m thinking about preparing tHis in advance for a camping trip. Does it reheat well, do you know? Would you recommend not combining the cheese sauce if being served the next day? Thanks! I would not recommend mixing the cheese sauce in advance. I’d warm it up and add it right before eating it on your trip 🙂 Also, if you make this in advance, I’d under-cook the noodles a bit so they stay a bit firm when you reheat the lasagna! I’d love to know your results if you end up trying it! This turned out very tasty and it was super easy to make! It was very hearty and satisfying too. I look forward to making it again. This was delisious everyone was crazy about this lasagna!!! Made this the other night–so so good. Everyone in the family loved it! I’m not a big mushroom fan (really?! Yes really) so I subbed with a diced red pepper (added with onion) and big handful of torn spinach (added with cheese at end) and it was perfect. Recommend!! Also should note makes a great pan-full amount–this is going on the holiday menu make list when family visit . Easy to make! Very tasty! Big hit at my home! Keep the Lovely recipes coming! I absolutely love one pot dishes and what a creative way to do lasagna! Looks so flavorful!! 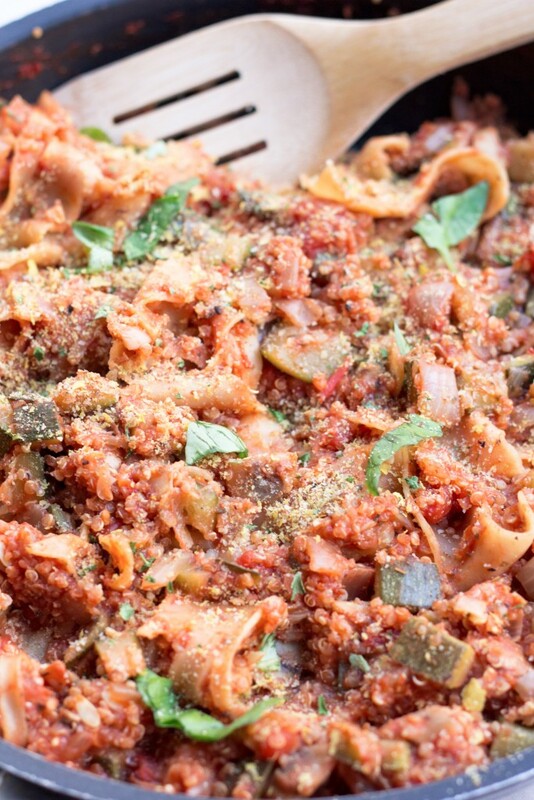 I’m not a huge quinoa fan, but the fact that it’s just added with a bunch of the lasagna noodles, I could totally do! All of the flavors are so amazing. Looks so hearty, filling and super healthy! Another amazing recipe from you Ceara! 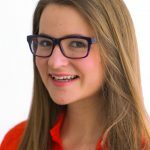 Are the lasagna noodles the no boil kind? oh my gosh I LOVE lasagna and your take on it looks freakin delicious! 😉 pinning this for sure I definitely want to try this! Why have I never thought to add quinoa in to a lasagna? Sounds like a great way to add some extra protein to me! oh girl! One pot dishes just rock! My hubs and family LOVE lasagna and I this easy fabulous looking dish will make them all super happy! Pinning for later. What a great summery dish! Wow!! This is such a great idea, can’t wait to give it a try! Yummy! Lasagne is one my favs but I’ve never thought of making a no-bake version ^.^ Love it!! <3 We are all about the no bake lasagna around here! It's SO much easier to make and doesn't heat up the whole house :D :D Thanks girl! 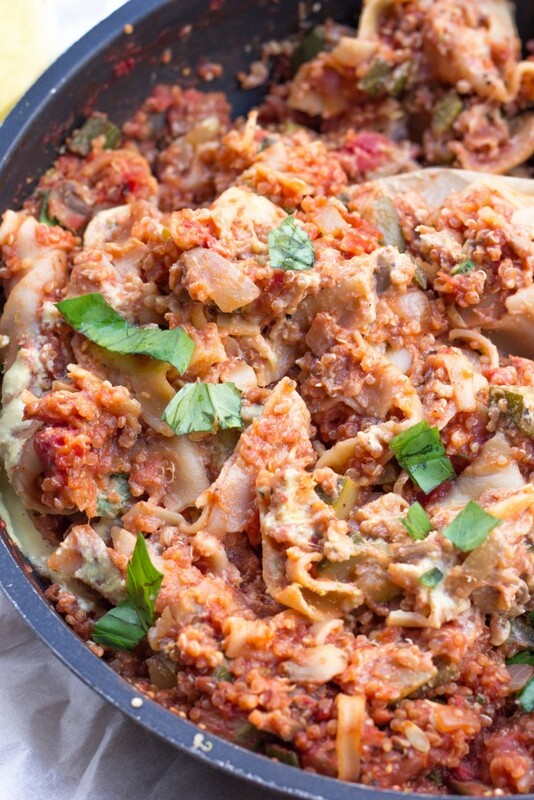 As if QUINOA lasagna wasn’t awesome enough, you’ve made it into an easy one pot masterpiece! I rarely make lasagna because it can be a lot of work, but you’ve totally solved that problem for all of us 🙂 This looks fantastic Ceara!